Halloween will be here before you know it! I love decorating for each holiday, but I don't always have a lot of time. So today I've rounded up a few quick and easy ideas to create Halloween garlands that will spook-up your house in no time flat! 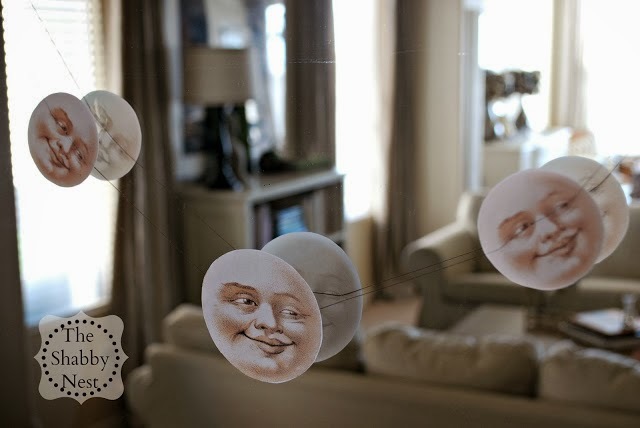 Find out how to create this adorable Halloween moon garland here. 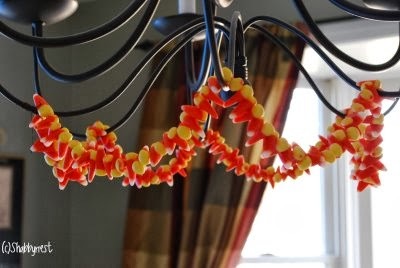 This candy corn garland will sweeten up your chandelier for All Hallow's Eve. 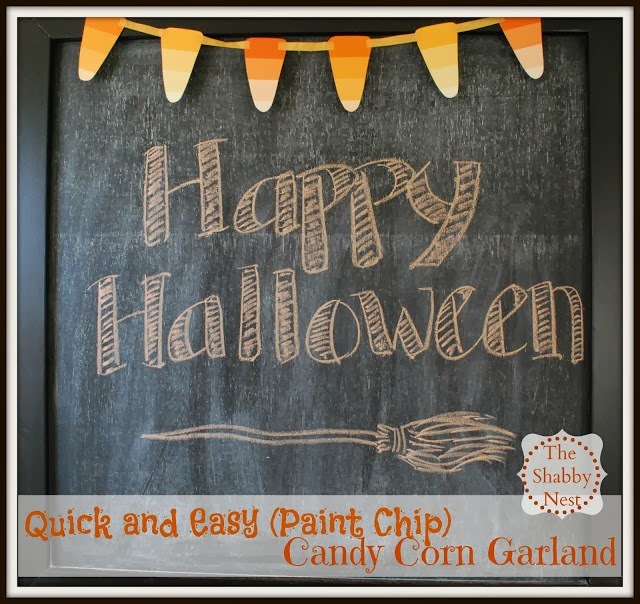 Or try making this garland of paper candy corn out of paint chips and washi tape! 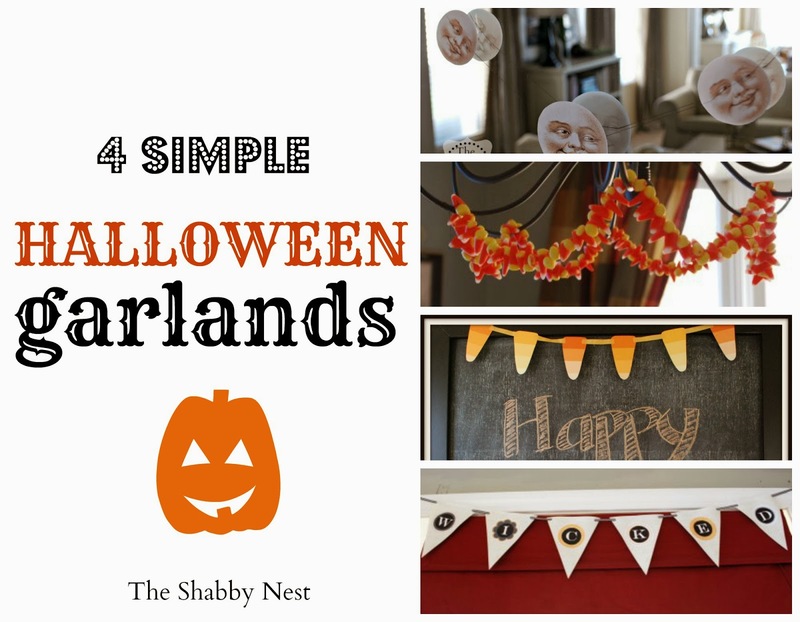 Finally, this cute "wicked" garland was created with free downloadable artwork. The paint chip garland is so cute! I am going to make that one for sure.